The ICC is a truly world-class venue and one of Europe’s most high profile conference centres, welcoming over 350 events and more than 300,000 delegates each year. Unrivalled experience, a fantastic reputation and flexible space in the perfect UK location enable the ICC team to deliver events that go beyond your expectations. We pride ourselves on our unbeatable track record. Whether it’s a small meeting for 2 or a conference for 8,000, our unique, purpose-built venue has the flexibility to shape and create events from the simple to the incredible. Purpose-built to the highest quality, the venue has another eight halls and 10 executive meeting rooms. The ICC also benefits from being located at the heart of one of the most progressive, modern cities in Europe. As well as being highly accessible - located at the centre of the UK’s transport network - Birmingham is home to an extraordinary mix of culture, restaurants, hotels and shops. 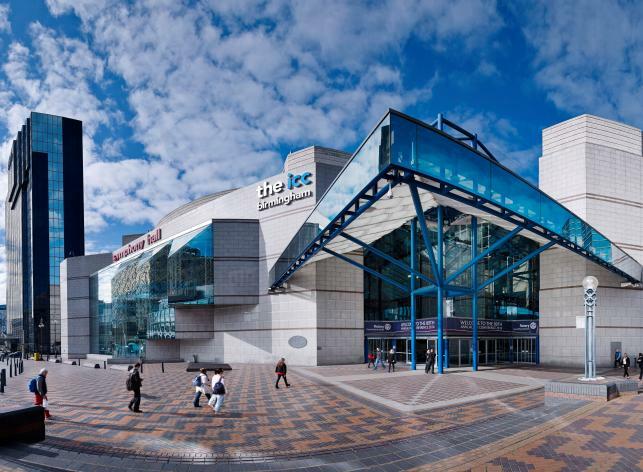 Everything is within easy reach of the ICC and organisers and delegates consistently comment that Birmingham is a great place to visit and to do business. 10 conference halls and 10 executive meeting rooms in a range of different shapes and sizes including sub-divisible options, delivering capacities between 2 to 2,700 delegates, with layout options including theatre style, boardroom, classroom, cabaret or banqueting. For smaller events, this means that we can always find a room to fit your needs.